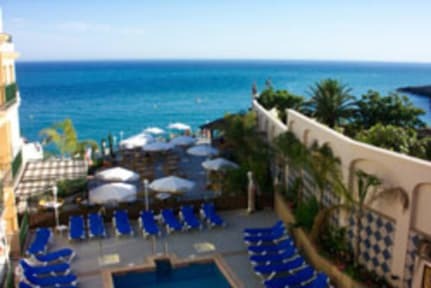 Located in the very centre of Nerja, the Toboso apar-turis tourist complex can be found on the eastern Costa del Sols iconic point of reference, the Balcn de Europa. 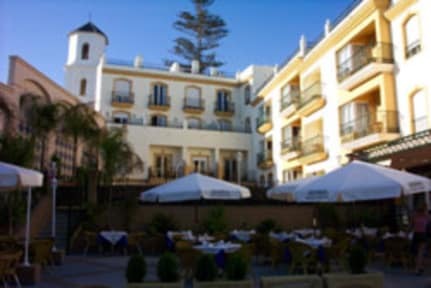 Placed as it is in the heart of Nerjas old town, Toboso apar-turis ensures that the visitor has a perfect opportunity to explore this delightful seaside towns quaint white street. Conveniently, we are a mere 50 meters from the beach, with direct access to this by footpath. Our tourist complex consists of 12 studios and 18 apartments; here guests can relax in a truly restful and uncluttered atmosphere. All the studios and apartments in Toboso apar-turis feature harmonious modern dcor and are fully equipped with kitchen, bathroom, living room and bedroom. Our rooms also overlook the sea, on one side, and the famous Balcn de Europa itself, with its charming XVII century church of San Salvador, on the other. In terms of amenities, the Toboso apar-turis complex has an indoor pool as well as a gym with heated pool and sauna. There is also Cochrans, an authentic Irish pub-restaurant with a terrace affording splendid views of the sea and the beach. Visitors to Toboso apar-turis will therefore have no difficulty finding entertainment by day and by night. Extra bed : 25.00 / per night per bed, direct pay at hotel. Baby cot: 10.00 , per night and unit, direct pay at hotel. Depsito: El hotel cargar el 10 % del importe total en el momento de efectuar la reserva. Importe no reembolsable. Deposit: 10 percent of the total amount will be charged on the day of booking and is non-refundable. Anzahlung: Eine Anzahlung in Hhe von 10 Prozent der Buchungssumme ist am Tag der Buchung erforderlich und ist nicht erstattbar. Cancelaciones: Atencin, si cancela o si no se presenta, el hotel cargar el 10 % del total de la estancia. Cancellation: Please note, if cancelled or in case of a no-show, 10 percent of all nights will be charged.